Nrithyanjali Company Dancers present 'Bhavaye Padmanabham' (Popular compositions of Maharaja Swathi Thirunal) at the 40th Anniversary Celebrations of the Chicago Tyagaraja Utsavam. Nrithyanjali dancers at Vishu Celebrations!!! Nrithyanjali performs at the Mahashivarathri celebrations grand Cultural Event organized by the HTGC temple. 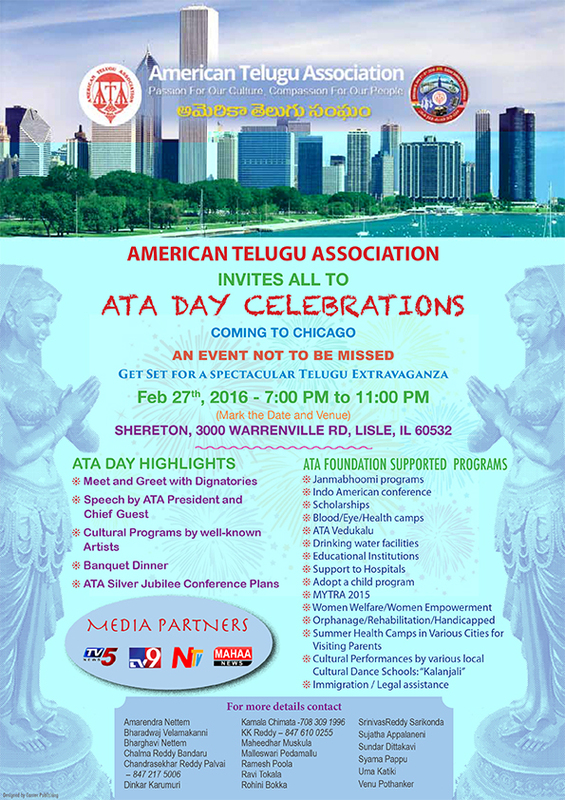 Nrithyanjali is performing at ATA Chicago Day!!! Come and witness - Nrithyanjali students performance at Christmas Around the World. PAST FORWARD - An inward journey of the soul, experienced through the body of the individual and the group collective. From the external to the internal – exploring one’s search for the light and the truth. From macro experiences, we begin a journey inwards of the jivaatma. This search is every man’s constant endeavor and is personified in the ego of the ‘individual’ as much as it is in the ego of the ‘many’. In group and solo expression, the individual need for introspection, searching for the presence of something greater leading to better understanding oneself and the role in a group. The journey leads to a celebration of music and movement, which causes the individual soul to unite with the Brahman. Music truly is the food of love. Spanda, a group founded in 1995 that presents works conceived and choreographed by Leela Samson, explores group dynamics in Bharatanatyam. Spanda, which means a vibration or pulse, is symbolic of the enduring and perpetual energy that is the life force of the universe. Nrithyanjali Dancers will be performing at the 25th Anniversary Event of the North South Foundation, at the Community Christian Church (Yellow Box), Naperville, IL. Come and see Nrithyanjali's dancers perform at Nrithyasamarpanam, the 2015 Indian Dance Festival organized by the Balaji Temple, Aurora, IL. For more information, please visit http://svsbalaji.force.com/indiandancefestival. Our performance will include three group presentations, and Nrithyanjali graduate Anagha Sundararajan will be presenting a 30 minute solo program.